A listener of The Ticket heard our Austin Street Center public service announcement about the winter hat, scarf and glove collection and contacted The Ticket to find out how his organization, the Rotary Club of Southlake, can donate several pallets (about 30 boxes) of new apparel to Austin Street Center! 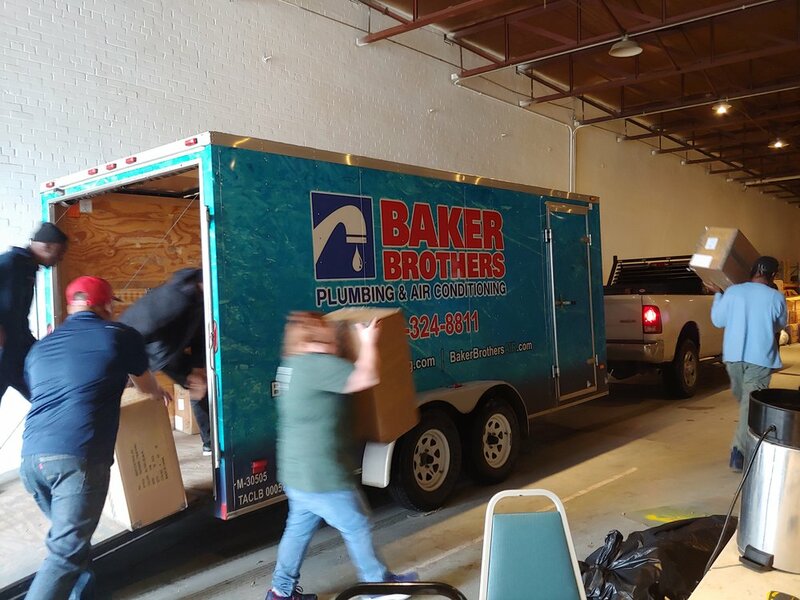 The Ticket shared the story with another advertiser, Jimmie Dale of Baker Brothers Plumbing Air and Electric, who immediately offered to transport the items to Austin Street from a facility in Keller. Candace Emery, donations director at Austin Street was thrilled about this donation. Thank you Rotary Club of Southlake and Baker Brothers Plumbing Air and Electric whom created this truly random act of kindness!